In three core cables, capacitance play an important role because in such cables capacitances exist between the cores as well as each core and the sheath. These capacitances are dominating as the dielectric constant of the dielectric used in cables is much more than the air. 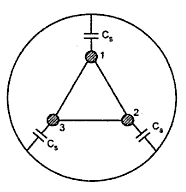 The capacitances are shown in the Fig. 1. The core to core capacitances are denoted as Cc while core to sheath capacitance are denoted as Cs. 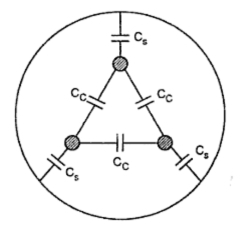 The core to core capacitances Cc are in delta and can be represented in the equivalent star as shown in the Fig. 2. 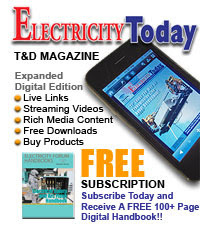 The total capacitance is not easy to calculate but by actual practical measurement Cs and Cc can be determined. Case 1 : The core 2 and 3 are connected to sheath. Thus the Cc between cores 2 and 3 and Cs between cores 2, 3 and sheath get eliminated as shown in the Fig. 3. All the three capacitances are now in parallel across core 1 and the sheath. The capacitance of core 1 with sheath is measured practically and denoted by Ca. Case 2 : All the three cores are bundled together. 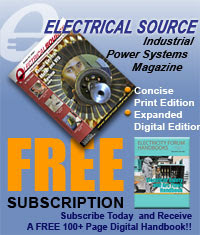 This eliminates all the core-core capacitances. This is shown in the Fig. 5. The capacitances Cs are in parallel between the common core and sheath. This capacitance is practically measured and denoted as Cb. Thus both the capacitances can be determined. The formula can be used when the test results are not available. This gives approximate value of the capacitance. If εr is not given, it can be assumed to be 3.5. It must be remembered that all the values of d, t and T must be used in the same units while using the formula. Example : A three core cable has core diameter 0f 2 cm and core to core distance of 4 cm. The dielectric material has relative permittivity of 5. Compute the capacitance of this cable per phase per km. Thickness of the conductor insulation is 1 cm and that of belt insulation is 0.5 cm. Use the empirical formula as the test results are not given.